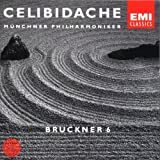 I was reminded just how much I like the Sixth Symphony of Bruckner when I heard a performance of Bruckner’s (allegedly) most popular symphony, the Fourth, last Monday in Rome. The Orchestra dell’Accademia Nazionale di Santa Cecilia under Marek Janowski took a crack at the “Romantic”. But while a preceding Horn Concerto by Mozart (No. 3 – Alessio Allegrini blowing his own horn) was solid, sumptuous, with a skilled and softly playing soloist, Bruckner did not quite come across. The very reserved applause from a sparse audience in Renzo Piano’s gorgeous if acoustically limited Sala Santa Cecilia, the biggest of three ‘scarabs‘ sitting on the “Auditorium” complex, suggested that the audience didn’t ‘get’ Bruckner. Not surprising, because neither did the orchestra. There were fine touches amid able music-making, few enough sordid brass moments – but the result sounded like I imagine it would if a German were to recite from theDecamerone or Comedia in perfectly proper Italian, but without actually understanding the language. If Bruckner’s Fourth didn’t speak to me, it was not only because the orchestra with a history even longer than its name (it made its first music in 1585 as the Congregazione dei Musici sotto l’invocazione della Beata Vergine e dei Santi Gregorio e Cecilia) didn’t know what to do with the Austrian composer nor bothered much with a wide range of dynamics. I just can’t think of the Fourth as quite as great as it is always made out to be. 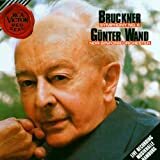 Come to think of it – and given the right recording – I like any of the other 'core' Bruckner symphonies (counting from the Third onward) better than the Fourth. Certainly the Sixth, rarely played and the least recorded of the “mature” Symphonies. I learned to love this symphony, composed between 1879 and 1881 and dedicated to his landlord, in Sergiu Celibidache’s broad-as-can-be recording on EMI. The recording is a little difficult to get but worth every penny for the warmth it conveys and the details that emerge from it. Celi's rendition achieves something that Jochum (DG), Karajan (DG), Wand (RCA) and Klemperer (EMI) do not quite manage. And ever since I’ve been looking for a recording that can match Celibidache while perhaps offering a tighter first and fourth movement. Kent Nagano’s recording was very good (HMU 901901), but still no match. That match has now crossed my desk in form of Bernard Haitink’s live recording with the Staatskapelle Dresden on theProfil label’s “Edition Staatskapelle Vol.14″ disc. Profil is Günter Hänssler’s new label and issues live recordings that range from the obscure to definitive collectors’ items. (A German (!) Katja Kabanova from 1949, actually a fine performance in surprisingly good sound represents the former, Günter Wand’s performances with the Munich Philharmonic, or the Dresden Staatskapelle edition, the latter). 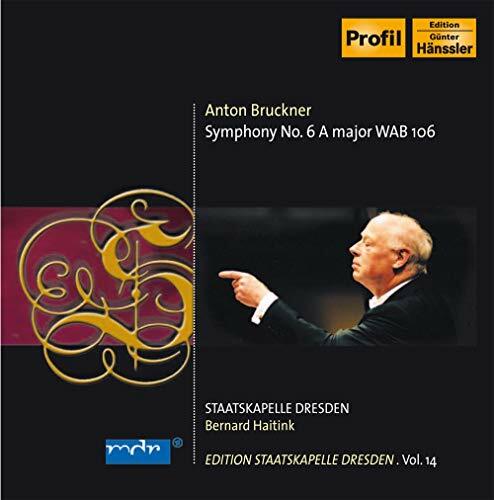 With this 2003 Bruckner Sixth, Profil has issued a recording that should enter the mainstream. Taut rhythms in broadly played music, excellent playing, and loving execution make this as engaging a Bruckner Symphony as you could possibly hope to hear. At 57 minutes Haitink is, if anything, on the brisker side, though he never sounds it. The A-major Majestoso rises in its full might without being ponderous. The Adagio, one of Bruckner’s finest next to that of the Seventh, flows gloriously. The Finale is full of the zest that had given rise to Bruckner punning that the Sixth was his coyest (or ‘sauciest’) symphony (“Die Sechste ist die Keckste”). Excellent sound does its part to make this release a winner. Indeed, it’s so good, it might convince even Italians of Bruckner’s genius. Another Brucknerian/fellow-dissenter on the subject of the Fourth! Its finale's always been a tough nut for me in anything but the very best performances, and the slow movement has to rank a bit far down on the list (behind 9, 8, 7, 6, 5 .... you get the idea). Haitink's record of 6 with the Concertgebouw was one of the highlights of his Philips cycle. Perhaps he responds to the major-key brightness of the work. Looking forward to hearing this new release! Agree on the Celi 6th, too-- Sawallisch also made a good record for Orfeo.